We drove to Chicago this passed weekend. 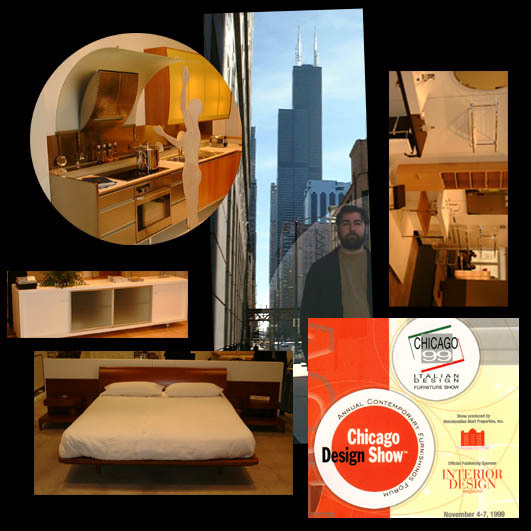 One of the main goal of our quick trip was visiting two similar shows under one roof: Annual Contemporary Furnishings Forum - Chicago Design Show and Italian Design Furniture Show - Chicago 99. Most of the stuff is fantastic. I'm really glad that there many people who understand and value good quality and elegant style. Unfortunately most of what average consumer can see is horrible to the level of humiliation.